So you like to wear black on the golf course? It’s easy to match, right? 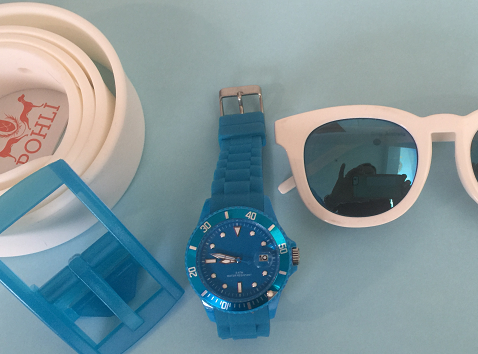 And it saves time trying to coordinate those pesky colours where one manufacturer’s blue is another’s aqua. We get that, but solid black golf wear is also kind of boring – as is solid navy or taupe for that matter. 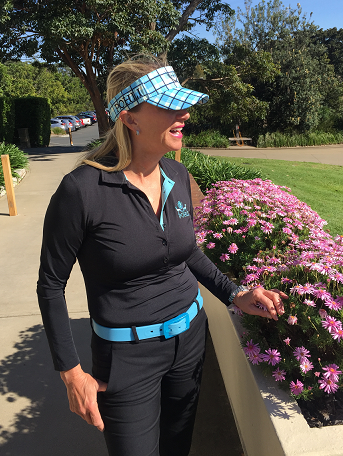 But there’s a super easy way to dress up a simple solid colour golf outfit using golf accessories, keeping it easy but at the same time, much, much smarter. There’s a wealth of different golf accessories to choose from. Think about it – there’s golf visors, caps, belts, socks*, hairbands. Get even more adventurous and find a wonderful neck scarf (also great for keeping warm in winter and keeping the sun off your neck in summer). Watches are also a really good option with some very inexpensive sports watches out there in a variety of great colours. And the best thing about golf wear accessories is that if the colour doesn’t quite match it’s not so obvious because each item is small, and not seen side by side with another! This entry was posted in Accessories, Golf Tops, Women's Golf Apparel. Bookmark the permalink. 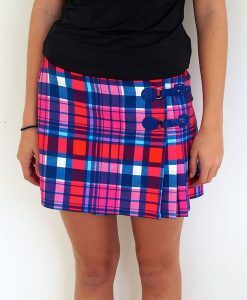 Parisian Style meets Women’s Golf Wear!